Installing a timber deck at your property is a huge investment. You’re spending a lot of money on a product that drastically improves your home. It’s because of this that you’re probably going to want to know how to clean and maintain your timber deck. A properly-cared for timber deck has the potential to keep its beautiful colour and natural look for many years. It will also remain smooth to the touch and free from splinters, meaning it won’t pose any danger to kids or pets. There are several ways to look after your timber deck, and if you do them every 12 months or so you’ll be able to enjoy your deck for years to come. A timber deck is a great way to give your space a natural look. How do I clean my timber deck? Keeping the boards in your timber deck clean is one of the most important parts of caring for your deck. There are two main steps to cleaning the boards of your deck: preparing the deck, and cleaning the deck. How should I prepare my deck? The best way to do this is completely clear your deck of all objects. This includes barbeques, furniture, plants and anything else that can be moved. If any items are too heavy to move, it might be a good idea to put a tarp or a sheet over them to protect them from the detergent. Next, sweep the deck to ensure it is free of all loose dirt, leaves, sticks and loose particles from the deck itself. If left for long periods of time, any organic debris can begin to decompose and become acidic, causing damage to your deck. You may want to take a moment to wipe down your outdoor furniture as well. You don’t want to put dirty furniture back on your clean deck! 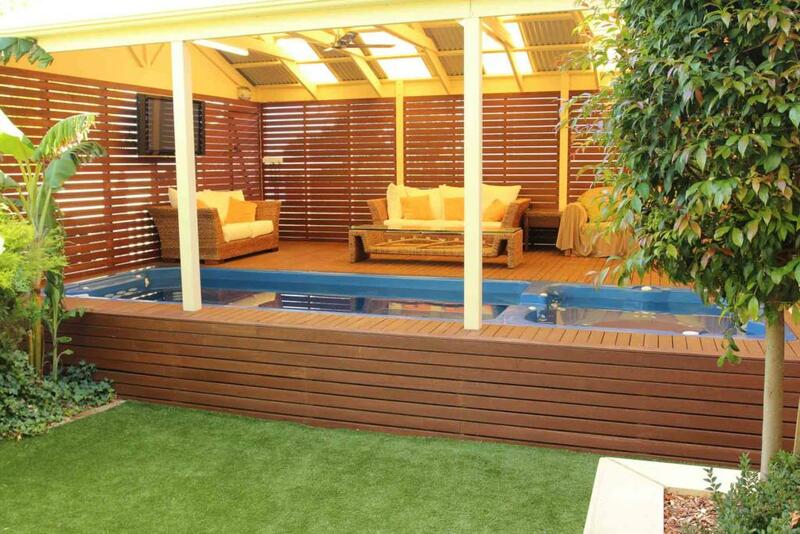 A timber deck will also look great next to an artificial lawn. How should I clean my deck? After you’ve cleared your deck of dirt and debris, it’s time to choose a cleaning agent. You can pick up appropriate cleaning products from any local hardware store, or you can mix your own using any old laundry detergent and water. The water will probably run off your deck and into your garden, so it might be a good idea to use a cleaner that is both non-toxic and eco-friendly. When it comes to actually cleaning your timber deck, you have two main options. You can either do it the old-fashioned way with a bristle brush and some elbow grease, or you can opt for a power washer. The bristle brush is obviously slightly more labour-intensive and time-consuming, but this method will usually result in a nicer finish. The power washer will mean you spend far less time cleaning, however if the setting is too high it can damage your deck. Be careful with both methods, as either of them can result in the scratching and splintering of the wood when the proper care is not taken. You’ll also want to scrub any railings, as well as any other areas that might need extra attention. The final step to cleaning your deck is to rinse it off. Any old garden hose will work for this part, but make sure you thoroughly rinse the suds away. Detergents may fade or discolour your deck when left for long periods of time, so it’s important to properly rinse your deck after cleaning. Make sure your deck is completely dry before you move your belongings back to their original positions. Moving heavy objects over a wet deck can result in damage. Staining vs oiling: what’s best for my timber deck? When it comes to caring for your deck, there’s a lot of information around regarding whether you should stain or oil your deck. 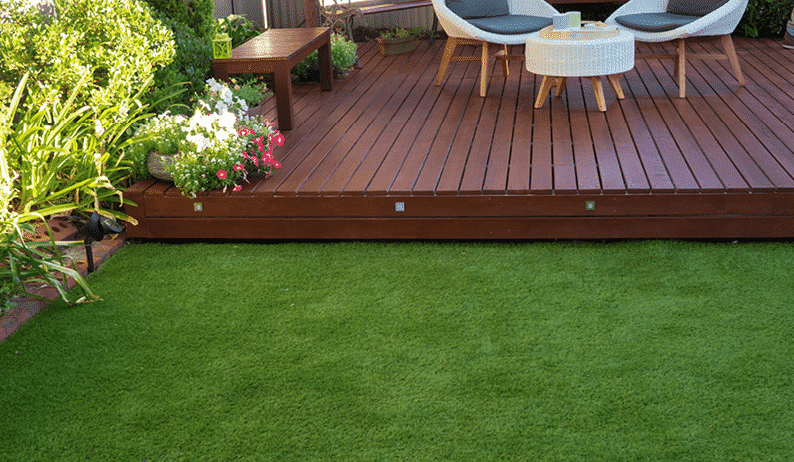 Both options offer benefits – essentially, your choice will depend on whether you’d like to change the colour of your deck or simply enhance the current colour. 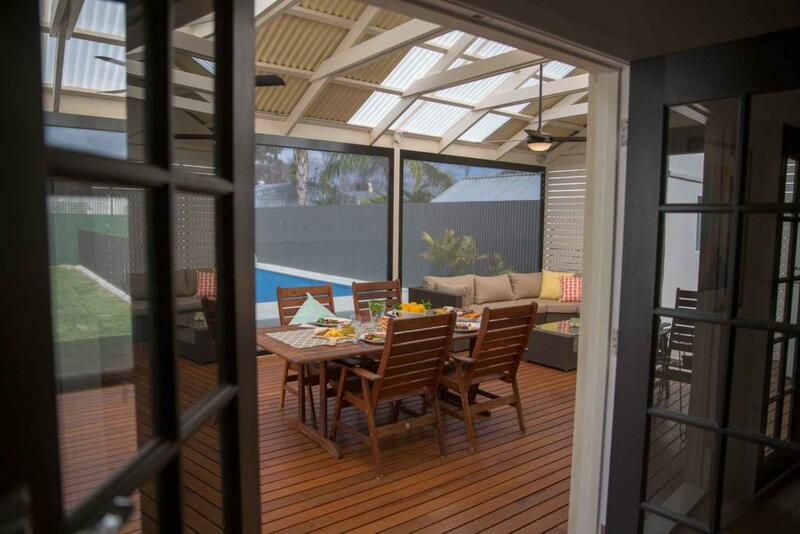 A timber deck is a great place to entertain family and friends. Should I put oil on my timber deck? Oiling your deck will protect it from damaging UV rays that can cause it to crack and shrink. Depending on which type of oil you use, it may also enhance the current colour of your deck. There are two types of decking oil on the market: water based and non-water based. Both types will sufficiently protect your timber deck, but they do have some minor differences. Water based oils tend to last longer than their counterpart, as they sit on top of the wood. They also usually have less of an impact on the natural colour of the wood. It’s important that you thoroughly clear your deck of dust and debris before applying water based oil, as it will affect the end result. Non-water based oils penetrate the wood, protecting it from water damage. They provide a similar level of protection as their counterpart, the only real difference being they take longer to dry between coats. The main difference in the end result is that non-water based oils will give your deck a slightly darker shade. Should I stain my timber deck? Staining your deck can be beneficial for two reasons. It changes the colour of the wood as well as increasing its resistance to UV rays. One of the great things about staining your timber deck is that you can completely change the way it looks! If you have a pine deck but are after a darker finish, you can stain it to make it resemble a darker wood such as merbau. If you already like the way your deck looks, you definitely don’t want to stain it – stick with decking oil! Make sure you check with the professionals before applying anything to your deck. The method of deck preservation you use will depend on the type of deck you have. Make sure you seek the advice of someone who knows what they’re talking about.